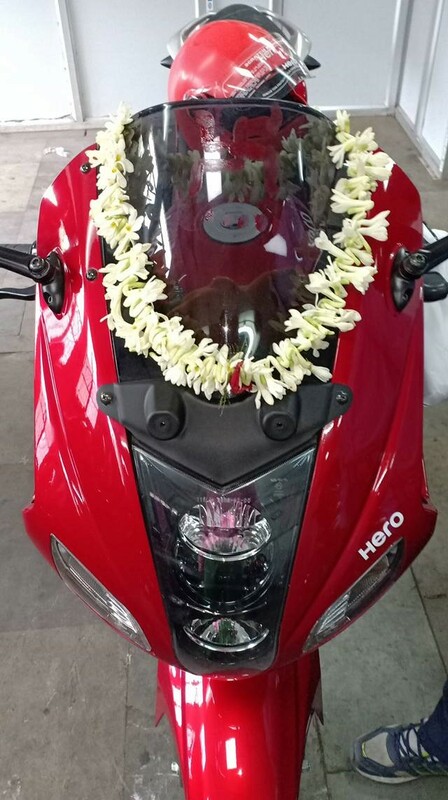 Deliveries for the Hero Karizma ZMR have officially started throughout the country. 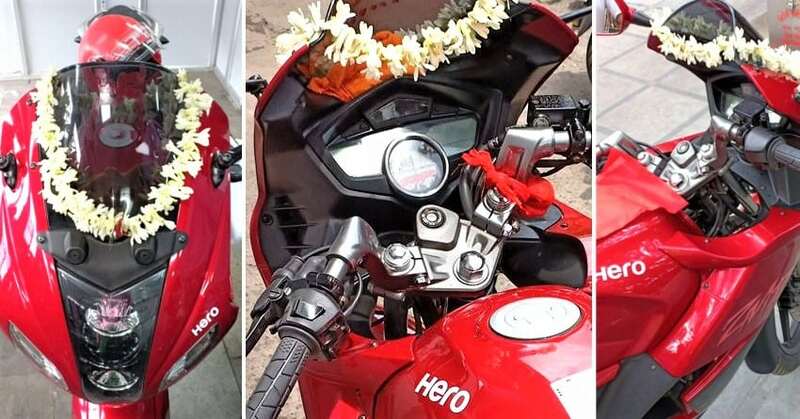 It seems like the love for Karizma moniker is never going down in India. Buyers have started arriving at the dealerships for the 2018 variant, leaving happy with their reliable partner and posting pictures of their purchase online. 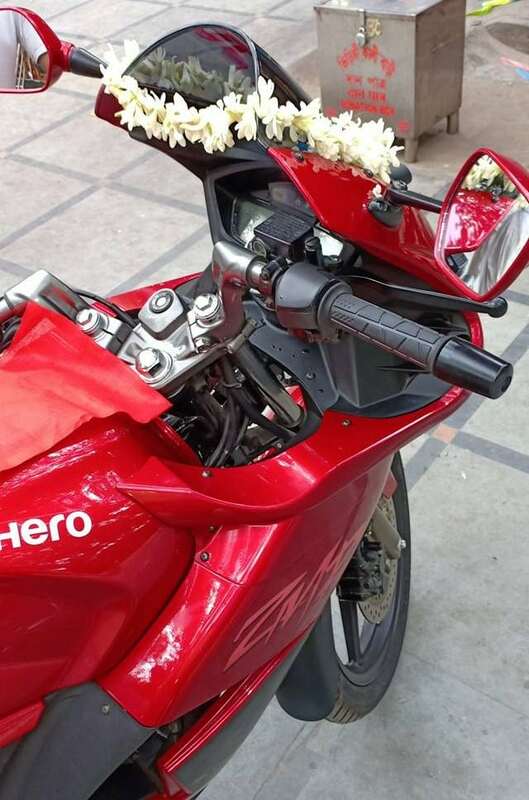 A Facebook user has posted the images of his brand new Karizma ZMR, flaunting the Blazing Red shade with pride. 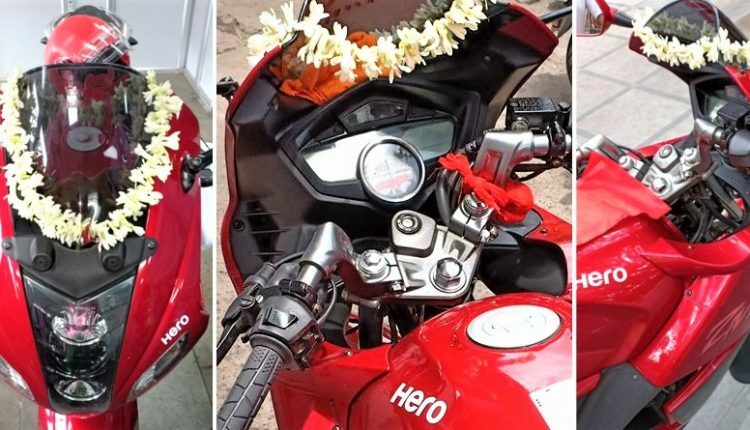 It is still unknown if Hero had this motorcycle in mind, why did they just temporarily halted the production for almost a year? The 2018 variant comes with similar design lines. The headlight section comes with a tinted visor while seat design facilitates easy grounding for medium sized riders. The paint quality on this motorcycle looks stunning, further complementing the use of black inserts on the side fairing. The dual-tone variant has also reached the dealerships, attracting fans with a different taste and in need of a unique product. 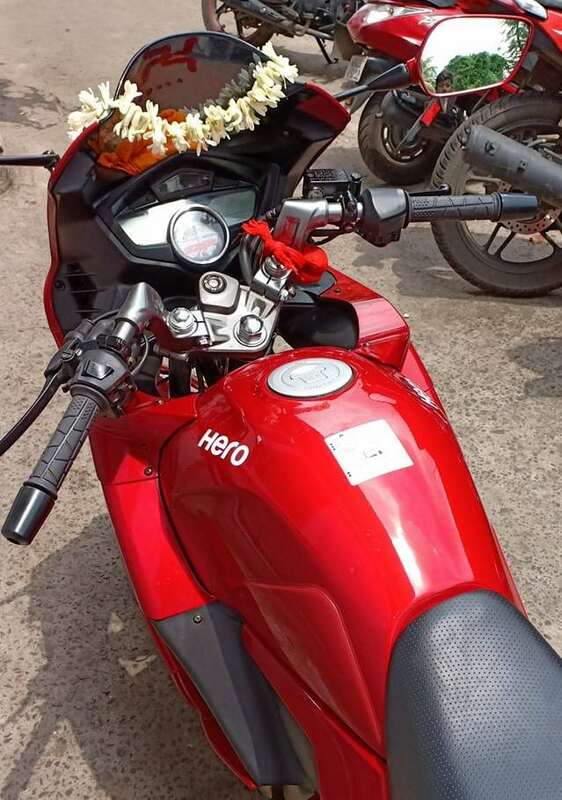 Karizma ZMR is powered by a 223cc, single cylinder engine, producing 20 bhp of maximum power and 19.7 Nm of torque. The engine comes mated to a 5-speed gearbox. Karizma claims 129 kph of top speed and comes in just three shades.